Click here to view our article with cooking tips and beef stew recipes. Did you know there isn’t a holiday that celebrates stews but January is National Soup Month? Front of the recipe card for Easy Oven Stew. 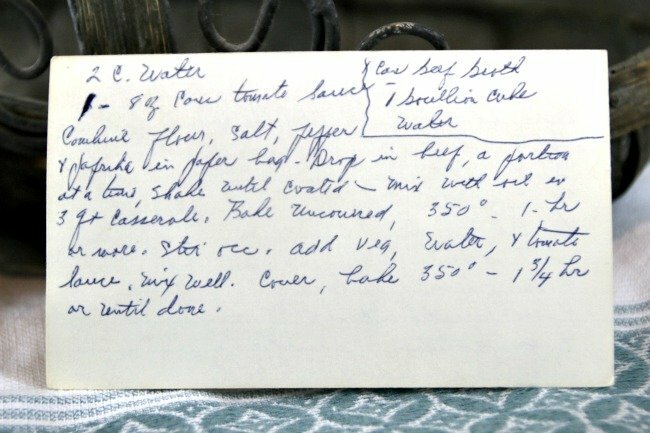 Another recipe by her friend Marion Nelson. 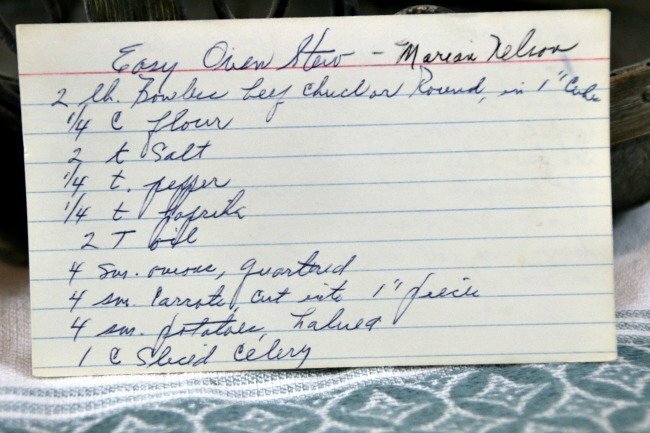 Back of the recipe card for Easy Oven Stew. She doesn’t mention this mixture in the method. What do you think? Mix it up and toss in there or an alternative to the 2 cups of water. Which, in my opinion is not a lot of liquid to make a stew. 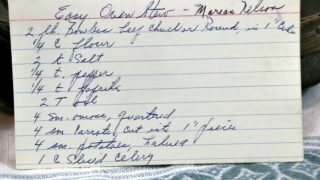 There are lots of fun recipes to read in the box this recipe for Easy Oven Stew was with. Use the links below to view other recipes similar to this Easy Oven Stew recipe. 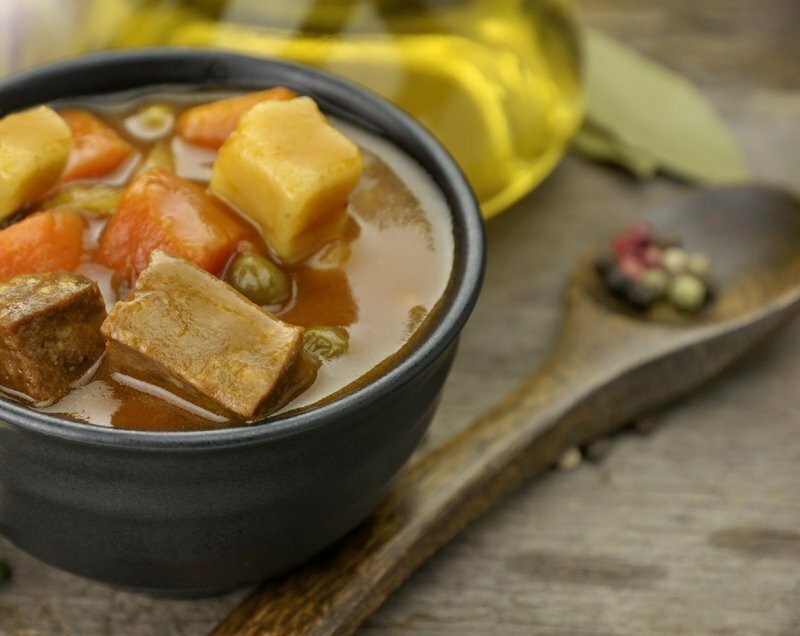 If you make this Easy Oven Stew recipe, please share your photos and comments below! Combine flour, salt, pepper, and paprika in paper bag.